Why it is a must for you? 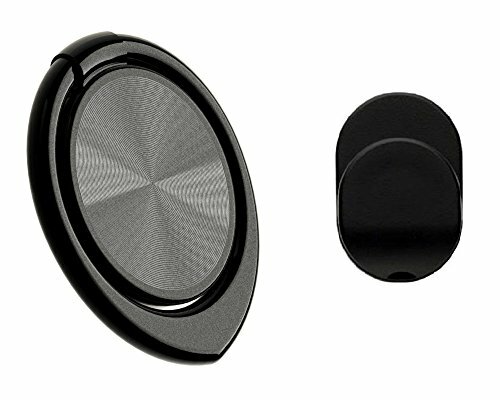 - It is a great idea to get more of these for random places, so that you keep your phone and iPad throughout the house. - To buy it for use as a stand for FaceTime chatting, listening to music or browsing recipes, also great if you use it as an e-reader - your smart phone sits perfectly when it is charging. 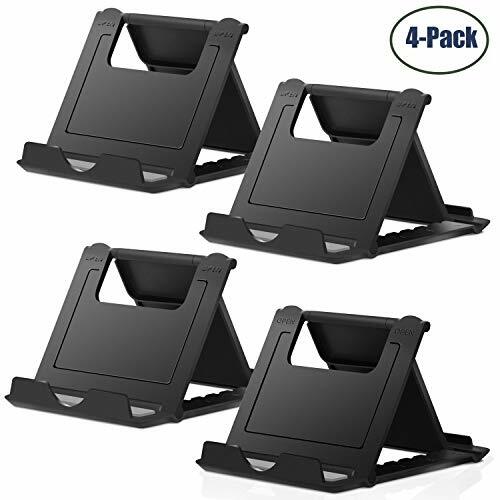 - Folds flat to fit in any pocket, purse, or briefcase, perfect for traveling. - Turns your iPhone into a nightstand alarm clock so you can see the time if you wake up periodically. - To buy several more for all your family, and co-workers as a gift. 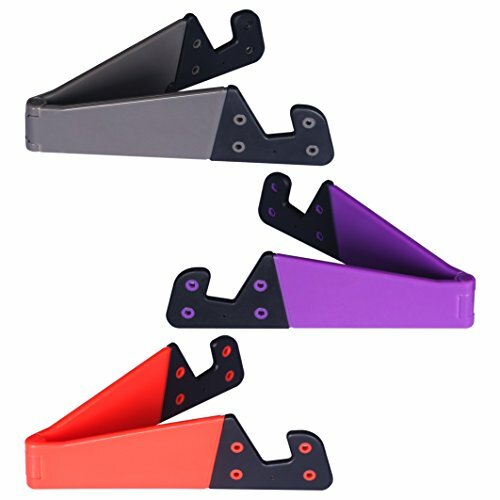 Brand: Honsky name: V style plastic stand color: Grey, purple, red material: Plastic packing list: 3 * Honsky micro foldable plastic stand specifications: - Size(l*w*t):11.5*3*0.07cm - max open- 11cm, slot width - 1cm compatibility: Included but not limited to - apple: iPhone 6 plus,iPhone6,5s/5c/5/4s,iPad mini 3,2, iPad 2, 3, iPad air - Samsung: Galaxy s5,s4,s3, galaxy note 4,3/Samsung galaxy tab - HTC: HTC one v, t320e,htc one x, one mini, - blackberry bold 9900/q10 & z10, LG optimus g, google nexus7,5, Sony xperia z1, nokia Lumia 1020 x,xl,1520,1320. 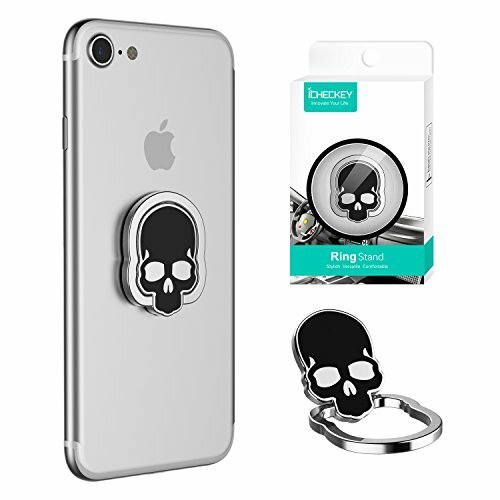 Put a Unique Phone Ring Holder on your phone to release your hands ICHECKEY, SKULL SERIES phone ring holder is made of Zinc Alloy, a unique exterior look to be a very special adornment to your phone. 3M strong adhesive can hold up to 3KG smartphone or tablet. Put your mid-finger in the ring, Flexibility&Convenience to extend your thumb reach and allow yourself to do more and work faster on your phone. 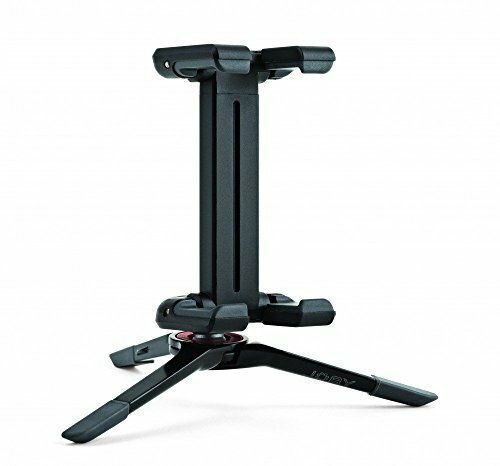 360° Rotating and 180° Flipping, you can adjust the most comfortable angle to enjoy the show. Also, the built-in metal plate can be compatible with vehicle mount. Usage Method: 1. Wipe away dirt, dust etc. on the back of your phone, dry it completely. 2. Peel off the protective paper. Do not touch the adhesive surface. 3. Press the ring holder against 15 seconds. 4. After 24 hours hanging heavy, the effect is much better. Please Note: 1. Please choose the best position before putting it on. 2. Please remove immediately and stick to the right position if put in the wrong position. What you get: 1* ICHECKEY Phone Ring Holder Warranty: 30-Day Money Back Guarantee Lifetime Warranty Warranty applies to the purchased product. Restrictions may apply. Long flights while traveling can be tough. Holding your phone while watching a movie can give your hand pain after a while. 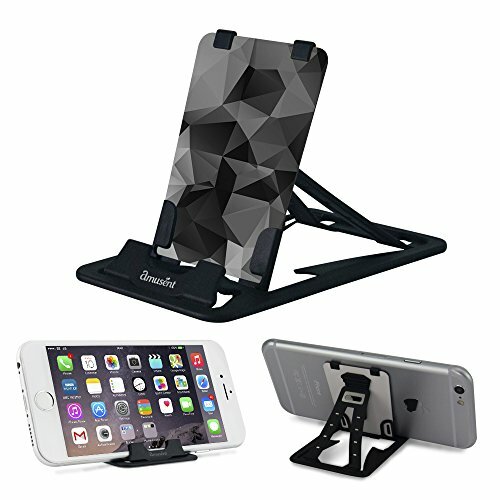 You no longer have to worry about those situations with RED SHIELD portable phone stand. It's perfect for watching movies and videos on the go! It's universal and will work with any smartphone in landscape mode. It's portable and convenient when you need it. The phone stand is the same size as a credit card, but thinner and lighter. 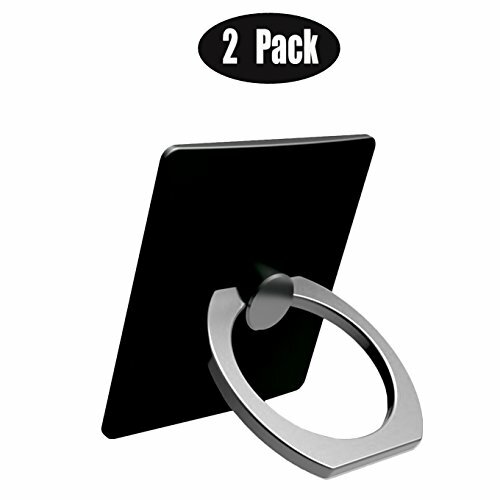 It can easily be carried in your wallet so that you could enjoy movies while traveling or on your free time. It can be adjusted to 3 different viewing angles. Adjust to your desired level and lock it in place. Enjoy your movies or videos anywhere and anytime! It also works great as a earphone/earbud cord wrap for a cleaner and easier management without having to deal with tangled wires when you want to listen to music or have a call with someone. Simply fold when watching movies, then unfold when done. Enjoy your movies anytime. 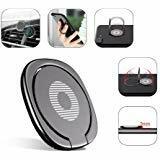 [What You Will Get] - Phone Ring X1, Car Mount Hook X 1. [3M Adhesive Power] - Highest quality pressure sensitive 3M adhesive pads provide unrivaled support. 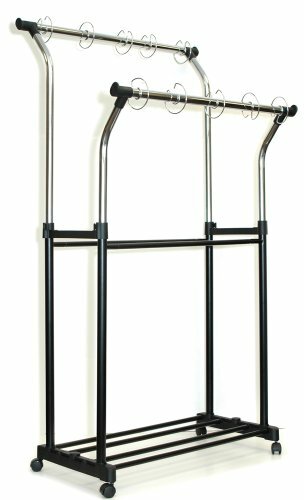 Extremely strong and durable ensuring worry-free use. Clean removal capabilities prevent any damage or any trace left on your device if removed. Adjustable & Rotatable High-quality universal android finger ring phone stand holderBest cell phone ring holder desk accessoriesFinger ring holder compatible with apple phone Xs Max XR se 3 3s 3gs 4 4s 5 5s 6 6s 6 plus 6se 6plus 7 7plus 7s 7 plus 8 8 8s plus X samsung galaxy 6s edge plus S7 S8 s9 Plus s6 s5 s4 gear s3 note 3 4 5 6 nexus 5x 6p s1 htc 10 u11 lg v20, LG, Sony, HTC, All Android Smartphone.Metal cell phone ring stand holder men spinner for cellphones from 4 to 8 inch, 5"5 inch, 4.7" 4.7 inch, like iPhone 7, iPhone 8, iPhone X. Functional Rotatable phone ring standAs a phone grip, adhesive is extremely sticky, which tightly hold your phone and prevent possibility of dropping the phone on many occasions.As a table kickstand, the finger ring phone holder features great tightness, so you can adjust it and turn it around and it will stay firmly once fixed.As a metal plate, the finger ring for phone is also work well with car magnet mount.Various using occasionsCell phone ring holder will work out perfectly on your trip for taking pictures in places.The finger ring stand provide the best angle for reading and viewing videos at home.Finger ring phone holder will make it easier to stick to magnetic phone holder. This super-compact, go anywhere smartphone stand makes shooting and viewing a snap on any surface. Built to keep your phone upright in any situation, simply stash this lightweight rig in your pocket and GO.